Each state has its own set of laws when it comes to dog owner liability. Some are very strict, holding the owner liable for all damages resulting from a bite or attack by the dog on another person, domestic animal or property. In others, you may only be able to bring suit if the owner knew or should have known that the dog was a danger or "had vicious propensities." If you were attacked in a public place or on your own property, you may have a better chance of collecting damages than if you were on the owner’s property where they could reasonably argue that you were trespassing. As with any injury, it’s absolutely essential that you have evidence of the bodily harm. Were there witnesses who saw the attack? Did you file a police report? Take photos and keep a copy of the medical report? All of this evidence is necessary to prove liability and help to prove why you are entitled to receive compensation. In many cases, a dog owner’s homeowners insurance will cover some or all of the damages. 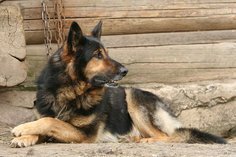 In instances where insurance isn’t available and the dog’s owner does not have the means to pay for the damages, there may be a third party such as the landlord who allowed a dangerous animal to reside on their property who can be held liable. A qualified personal injury attorney can help you better understand local statutes, your rights as an injured party and protect your best interests to make sure you receive just compensation for your injury and suffering.